Yohana Fran serves as director and member of investment committee board of Indonusa Group since 2005. 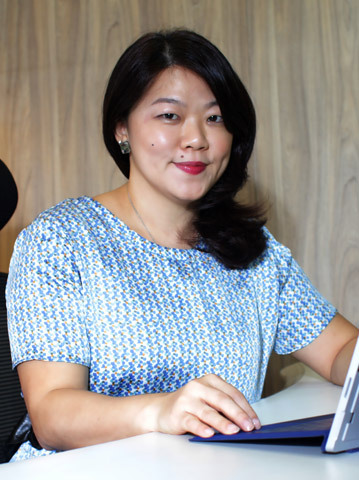 Prior to joining Indonusa, she had experience in ﬁnance and banking mainly in area of corporate ﬁnance, project ﬁnance and investment banking covering South East Asia region based in Singapore and Jakarta (1997 – 2005). Currently, Yohana also serves as a member of Audit Committee of PT Central Java Power, a financial company which conducts leasing of 4 unit 660MW Tanjung Jati B power plant, Central Java. Yohana started her career as a consultant in Deloitte Konsultan Indonesia, a member of Deloitte Touch Tohmatsu – Jakarta; then in banking sector while served in Mizuho Corporate Bank Ltd., - Project Finance Dept - Singapore and DBS Bank Ltd., Corporate & Investment Banking – Singapore, specializing in Technology, Media and Telco sectors. Yohana graduated with Master of Business Administration, concentration in Finance from Monash Mt. Eliza Business School Monash University, Australia (2000) and Bachelor of Economic in Accounting, Trisakti University.